At Self Storage Plus, we’ve equipped our Alexandria, VA, self storage facility with premium features for an exceptional storage experience. For your peace of mind, our property is monitored 24 hours a day with digital video surveillance. We have a gated parking area, and our building is accessible 7 days a week by electronic keypad entry. Covered loading areas, along with our well-lit buildings and grounds, make your trips to Self Storage Plus convenient and comfortable. Use our onsite carts and dollies free of charge to make maneuvering large, heavy items easier than ever. We also offer month-to-month rentals so you can store with us for as long as your need, while online bill pay lets you pay from the comfort of your home. 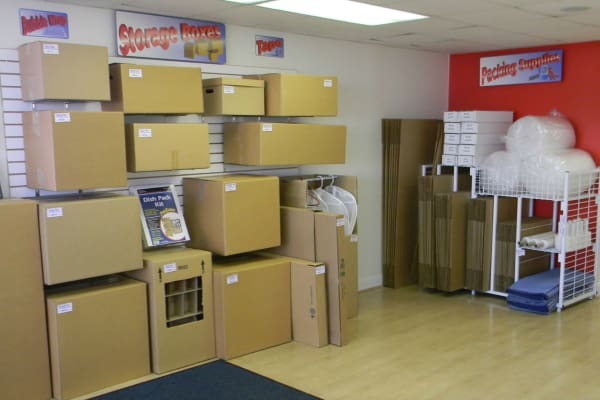 We have proudly been serving our community for over 20 years, and our team of dedicated storage experts is here to assist you in choosing the storage options that best suit your needs. Choose from small standard units, business storage, warehouse spaces, and secure outdoor parking for cars, commercial vehicles, RVs, and boats. When you need to make more space in your life, Self Storage Plus is here to help. Contact us to find out more about our household or commercial storage solutions.